No better place to start a champagne-trip than in the heart of the Champagne region. Walk through the alleys of this romantic wine village, adorned with numerous typical wrought-iron signs. 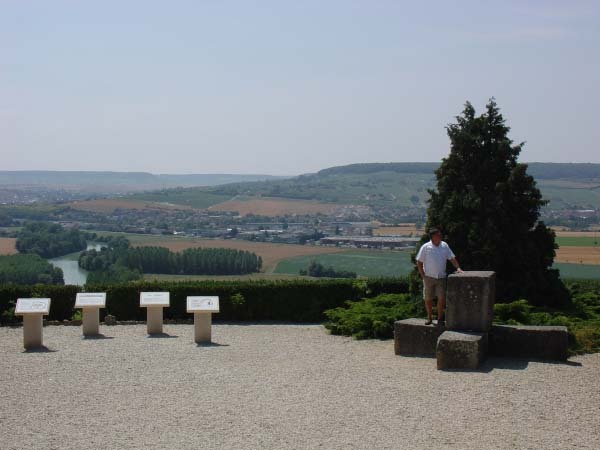 Stroll past the abbey and the burial place of Dom Pérignon and take time to admire the impressive panorama of the valley of the Marne. 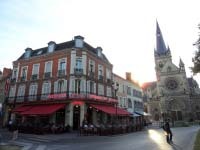 After a successful visit to the first producer, cross the Marne to eat something in one of the many restaurants in Epernay. Park your car not too far away: at the station or at the ‘Place de la République’. Alternative : if the weather is fine, you can enjoy your picnic in the vineyards. South of Epernay, just before entering Pierry, there’s a Leclerc Hypermarché. 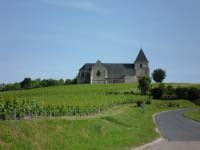 Buy some bread, cheese, rillettes de canard or even foie gras and look for a lovely spot on the hills of the vineyards. A nicely cooled bottle of champagne turns this into a picnic you won’t easily forget. 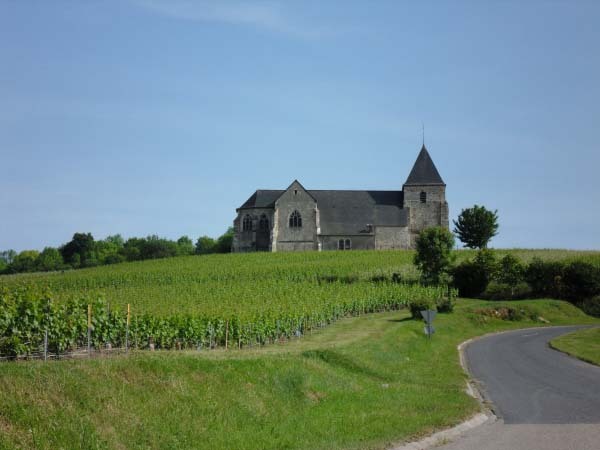 One of our favourite spots is the church of Chavot, in the middle of the vineyards. You can easily park there and enjoy the phenomenal view, sitting on a bench. It’s the most idyllic picnic place we know. 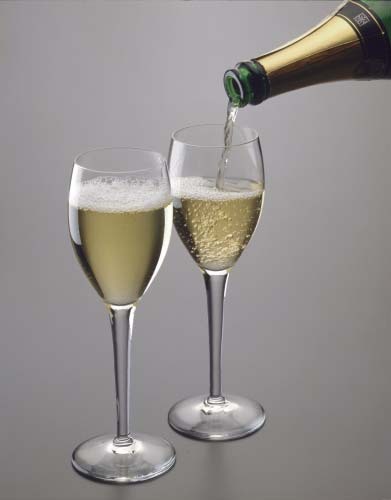 In Pierry, Moussy, Chavot-Courcourt, Monthelon or Cuis there are lots of champagne producers whose cuvees will delight you. It’s a sacrilege to stay a weekend in the Champagne region without visiting a cellar in the Côte d’ Or of the Champagne region. 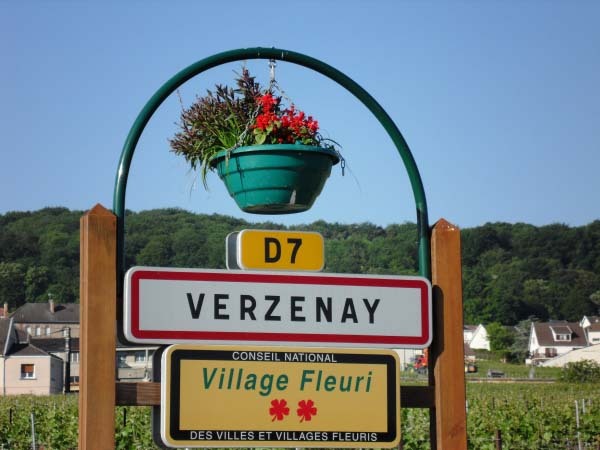 Be sure to visit a champagne producer in Cramant, Avize, Oger or Mesnil-sur-Oger. 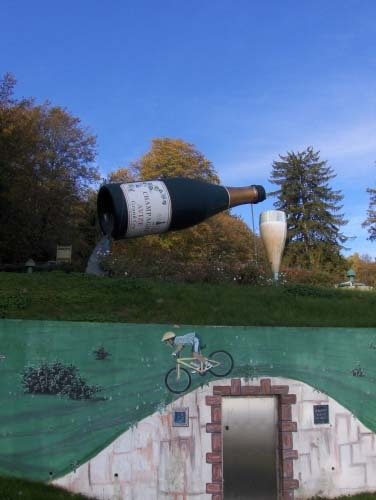 When leaving Avize in the direction of Grauves, you’ll discover a gigantic champagne bottle on a steep slope. From this bottle the champagne (proved to be water) pours into a champagne flute. 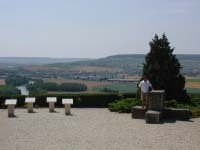 This spectacle and the splendid view over the town and its vineyards are worth this little detour. 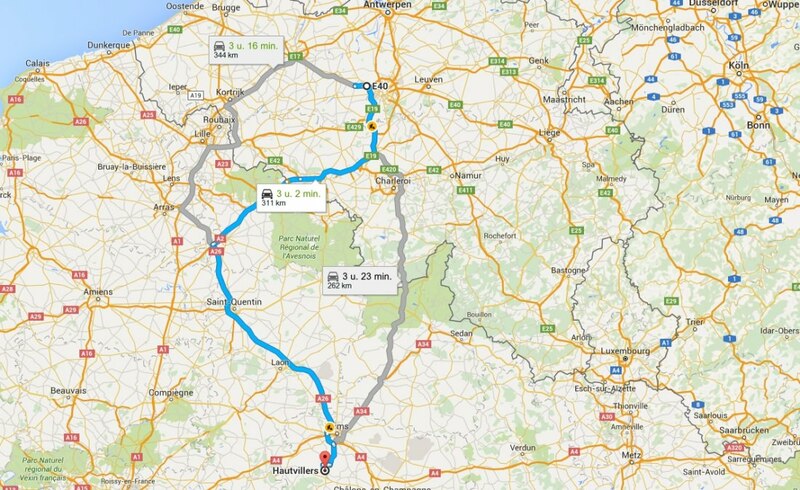 6:00 pm Time to drive to your hotel or chambres d’hôtes. Spend the night in or in the neighbourhood of Epernay. There are lots of hotels and guestrooms, even in the home of champagne producers. Word of advice : don’t forget to unload the champagne you bought and store it in a safe place in the chambres d’hôtes. You wouldn’t be the first to discover the next morning that your champagne is no longer in your boot. 9:00 am After a nutritious breakfast (with champagne) don’t forget to load the champagne back into your trunk. For some champagne producers Sunday is their day of rest. They may not prefer to welcome visitors on their day off. If you really want to visit smaller producers, call beforehand and explicitly mention the fact that it’s a Sunday. 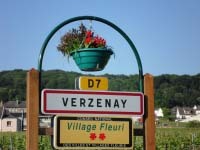 Find a producer east of the Montagne de Reims: Bouzy, Ambonnay, Louvois, Verzy or Verzenay. This way you’ll have a quite complete image of the Champagne region round Reims and Epernay. Do you want to see the difference with a large champagne house? Visit a well-known house, a “Grande Marque”, on your second day. They are open on Sunday, except at noon. 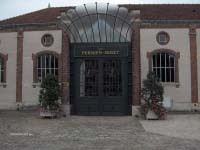 After a hearty breakfast, you can visit a famous champagne house in Reims or Epernay. 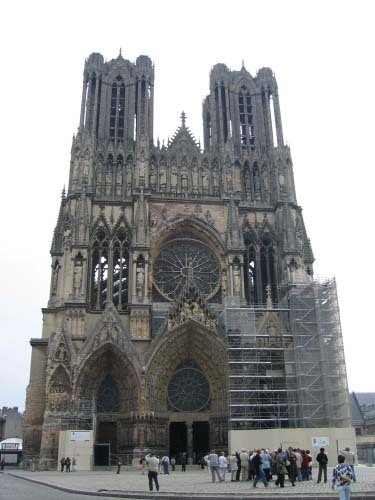 Visit the impressive cathedral in Reims and search, amidst the statues in the portal, for the angel with the Mona Lisa smile, the symbol of the town. 3:00 pm Pay a visit to the champagne shop across from the cathedral. They have an overwhelming collection of bubbles. The prices of the Grandes Marques are correct and you can find some bargains. You can pay for a champagne tasting, so have a last drink and hit the road.